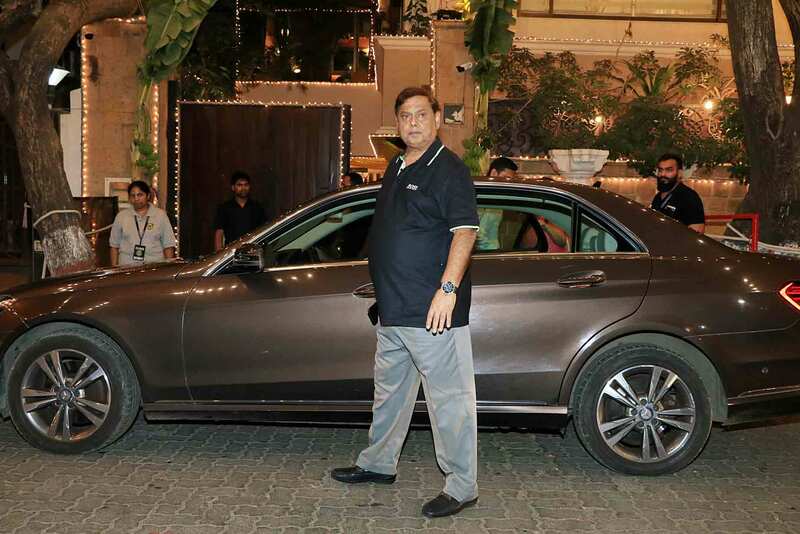 David Dhawan, who has a long association with Anil Kapoor, was clicked outside his residence. 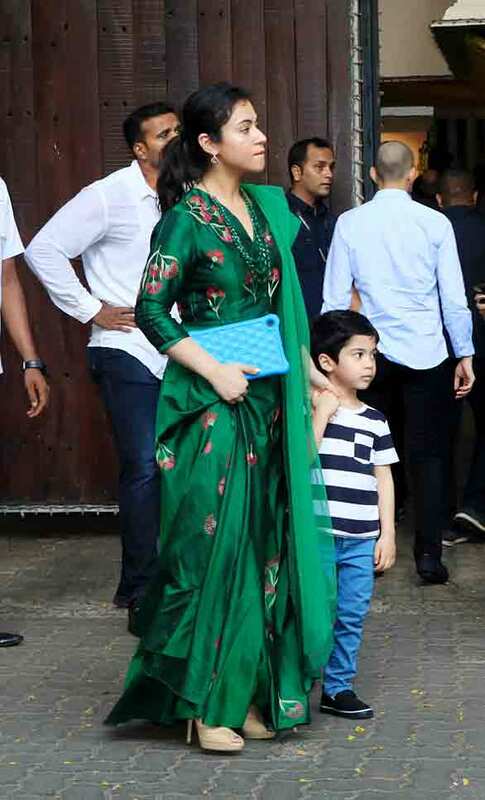 Interestingly, David's son Varun also shares a close bond with Anil's daughter Sonam Kapoor. 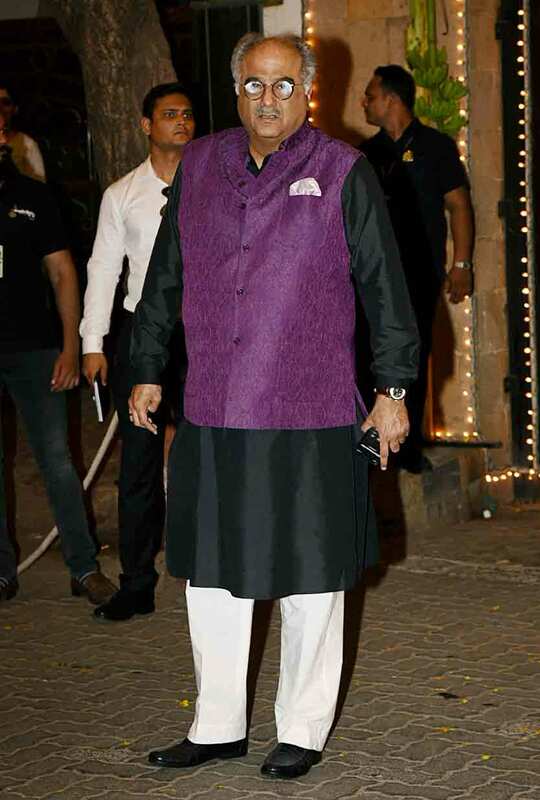 Veteran actor and filmmaker Satish Kaushik, who is a close friend to Anil Kapoor, was among the many celebs spotted at Anil's residence to attend the Mehendi ceremony of Sonam Kapoor. 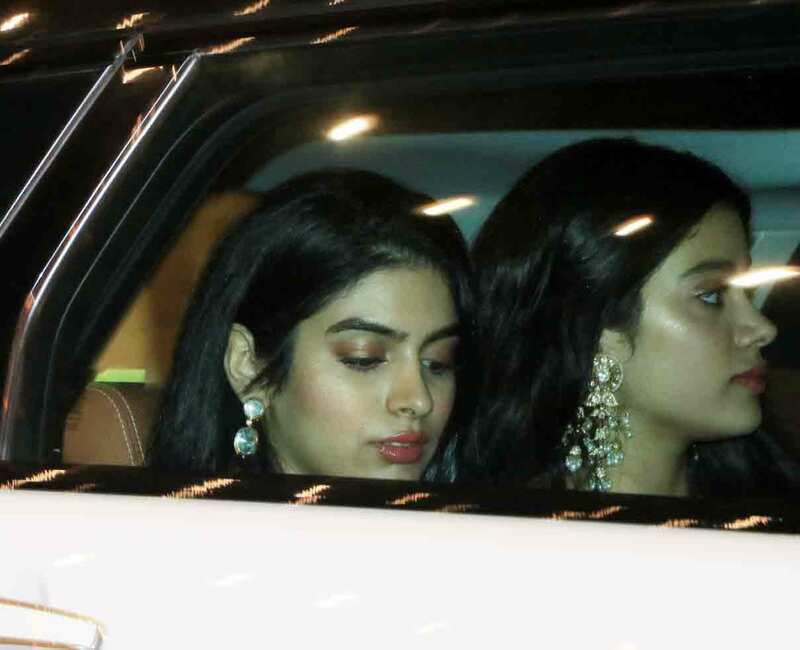 Kapoor sister Janhvi and Khushi were clicked inside their car at Anil's residence. 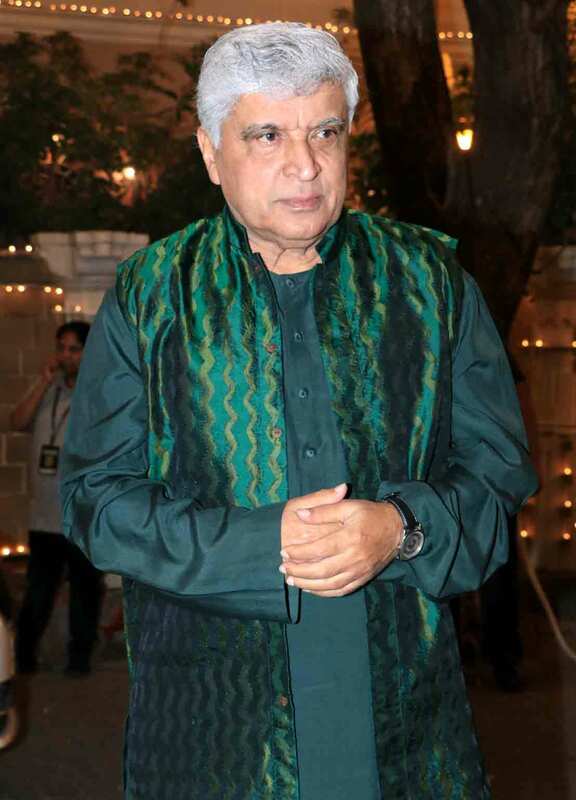 Poet, lyricist and screenwriter Javed Akhtar was spotted at Anil's residence. 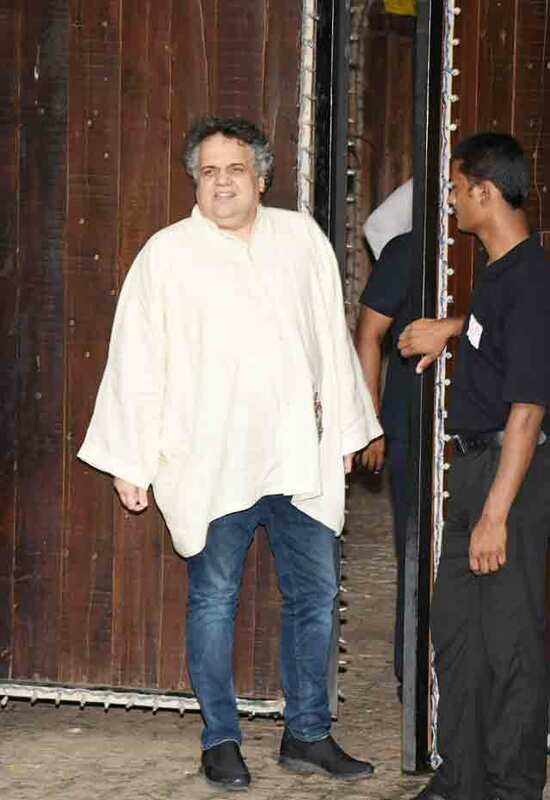 Filmmaker Boney Kapoor was clicked outside Anil Kapoor's residence. 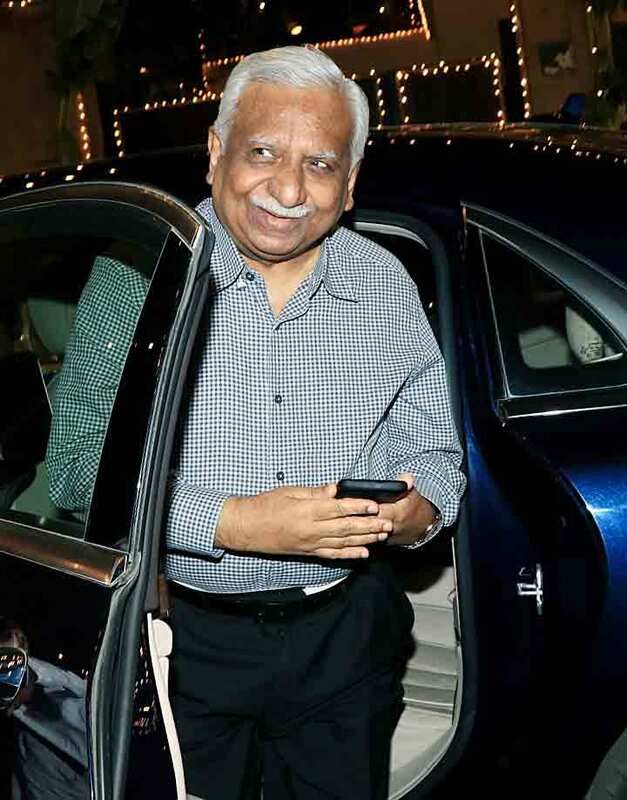 Boney recently returned from New Delhi after collecting the National Award on behalf of his late wife Sridevi. 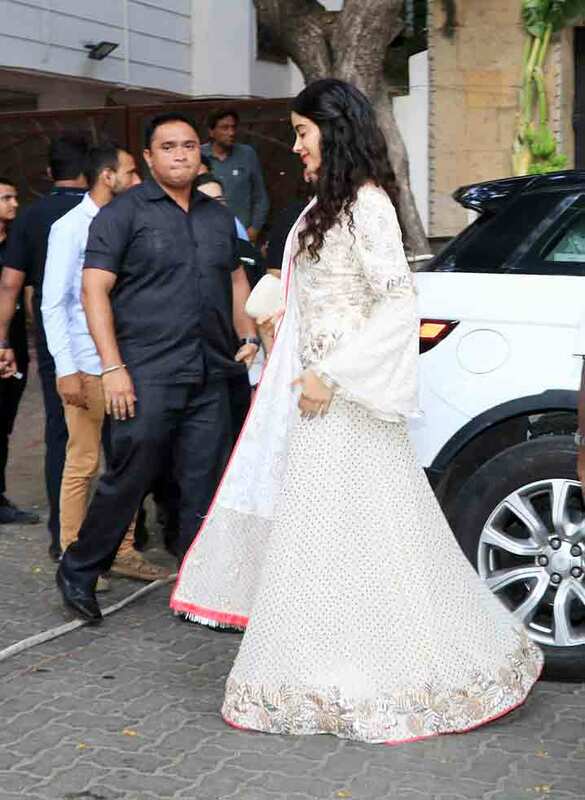 Sonam's cousin Janhvi Kapoor arrived in a beautiful white ethnic outfit for the Mehendi ceremony. 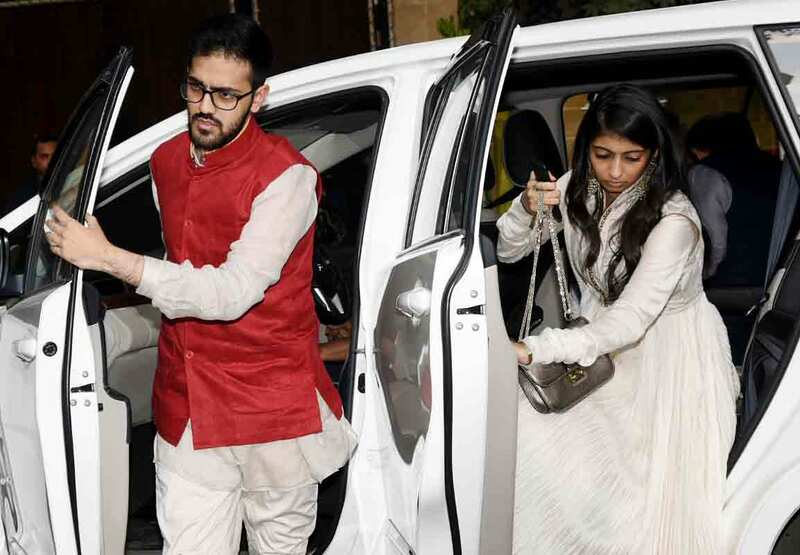 Sonam's cousin and actor Arjun Kapoor arrived in style. 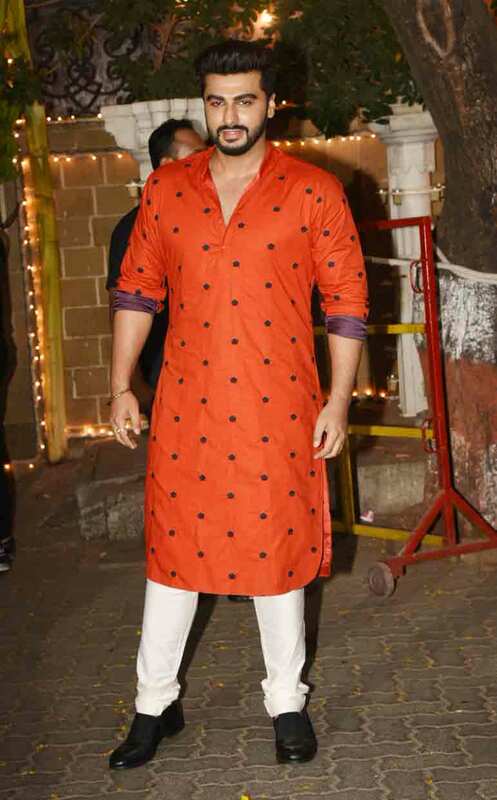 He was dressed up in a bright orange kurta and white churidar pants. 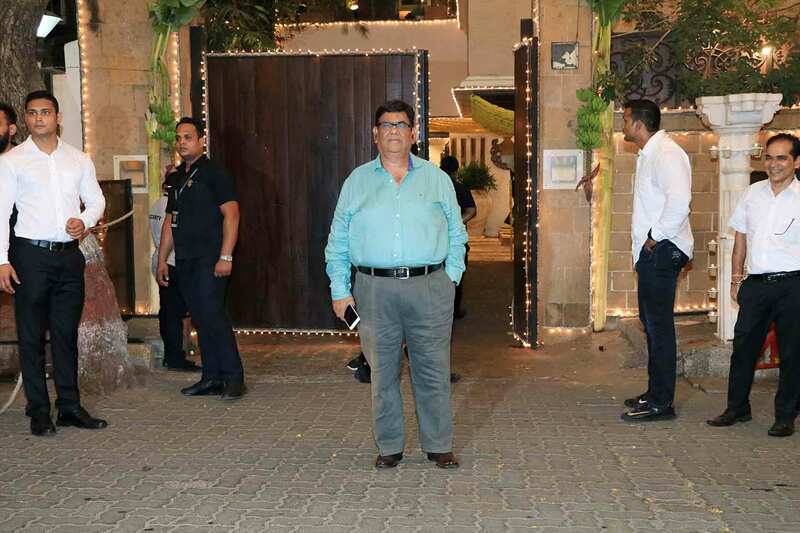 Actor and Sonam's cousin Mohit Marwah was clicked outside Anil's residence. He is best known for his debut feature film 'Fugly'. 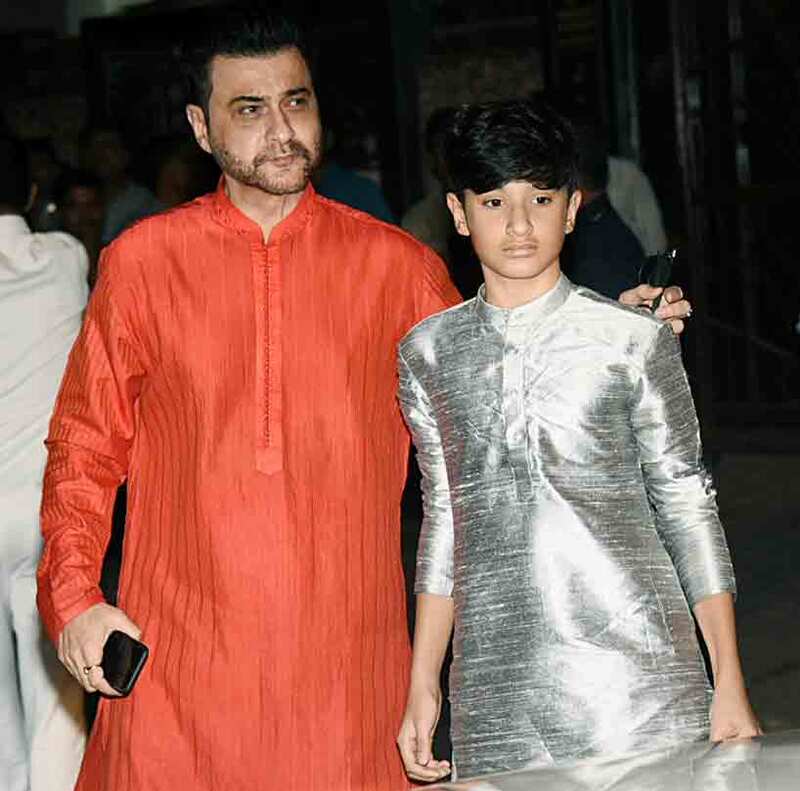 Actor and filmmaker Sanjay Kapoor, who shared a post on Instagram on Sunday that he all set to shake a leg on his niece Sonam Kapoor's wedding, was clicked with his son Jahaan Kapoor outside his brother Anil's bungalow. 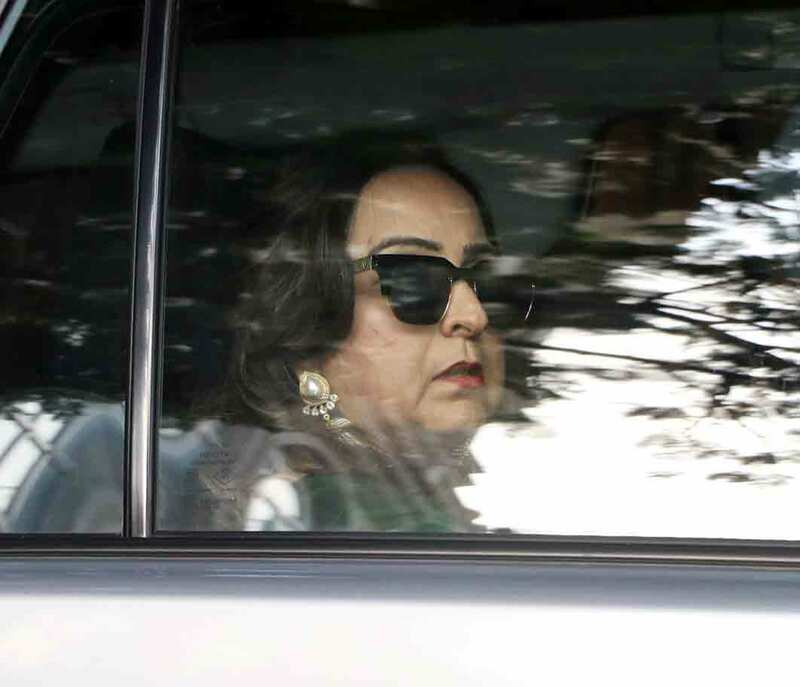 Sanjay Kapoor's wife Maheep clicked outside Anil's residence. 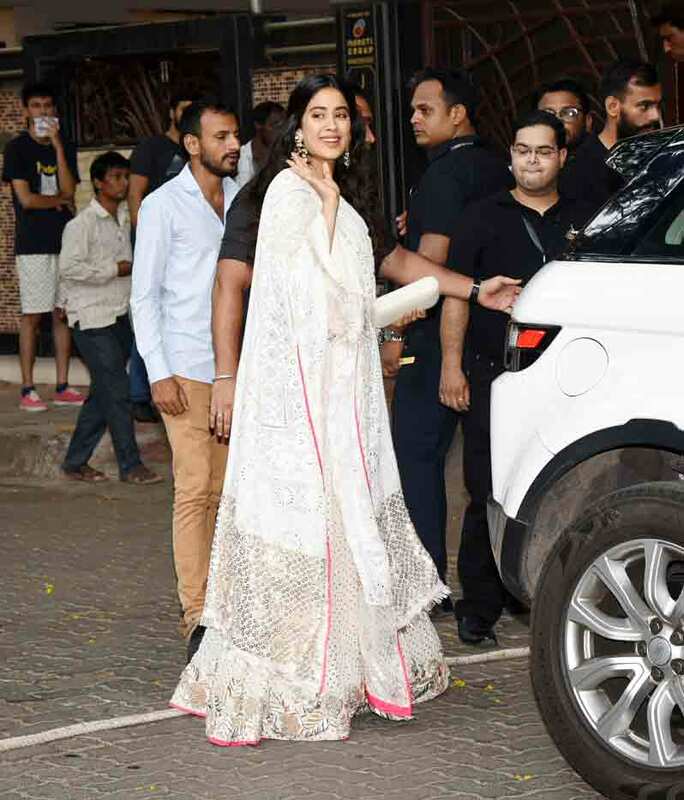 Sanjay's daughter Shanaya Kapoor, who was dressed up in a beautiful pink lehenga, posed for the shutterbugs. 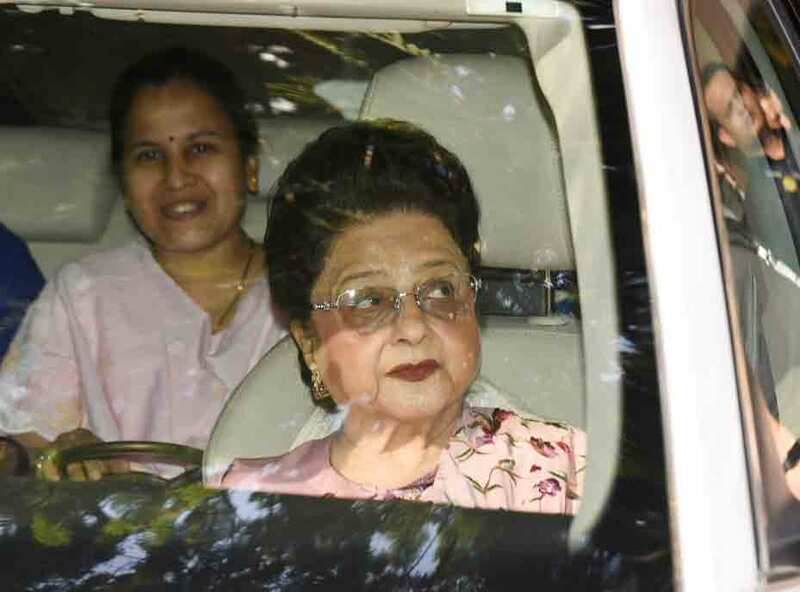 Anil Kapoor's mother Nirmal Kapoor clicked before the start of the Mehendi ceremony. 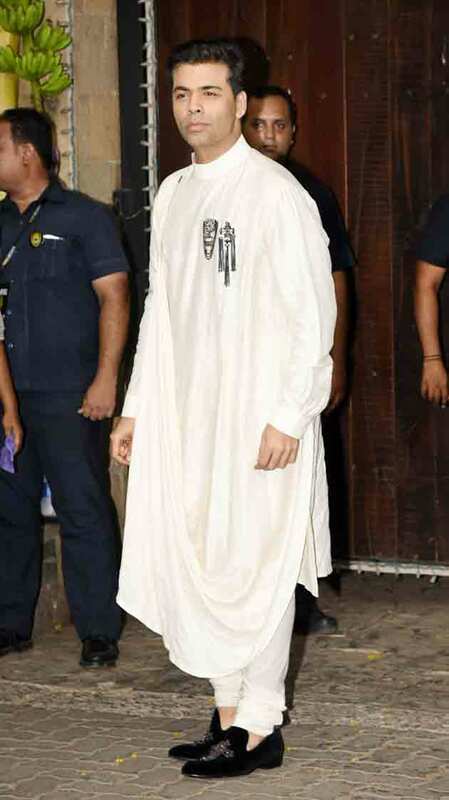 Filmmaker Karan Johar was dressed up in all white as he posed before the cameras outside Anil Kapoor's bungalow. 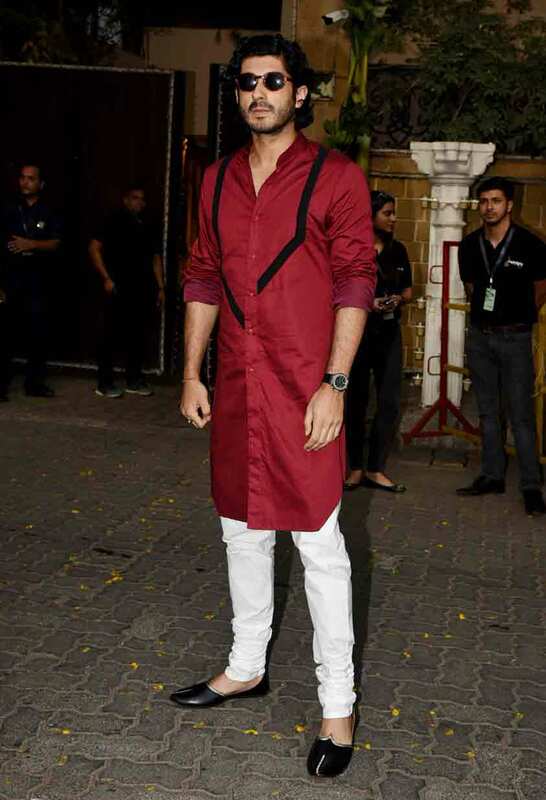 Designer Kunal Rawal spotted outside Anil Kapoor's Juhu bungalow. 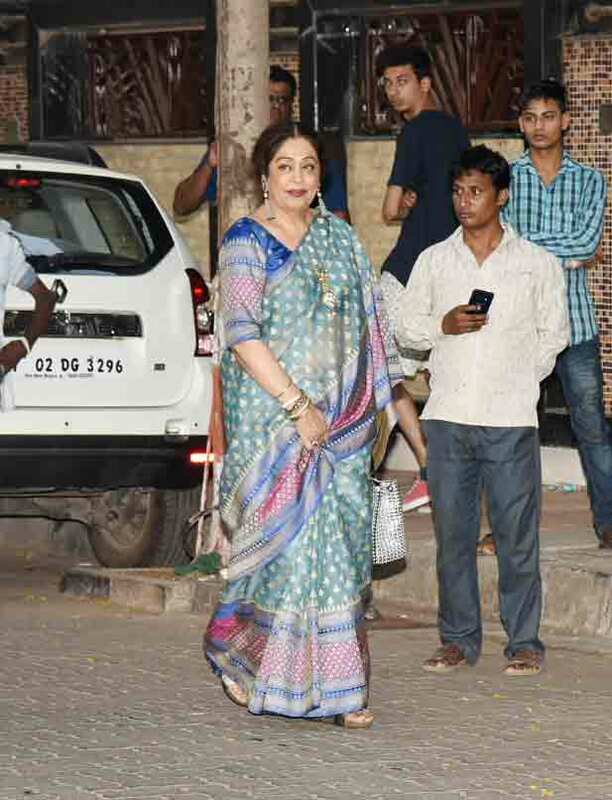 Veteran actress Kirron Kher was spotted outside Anil Kapoor's Juhu bungalow. 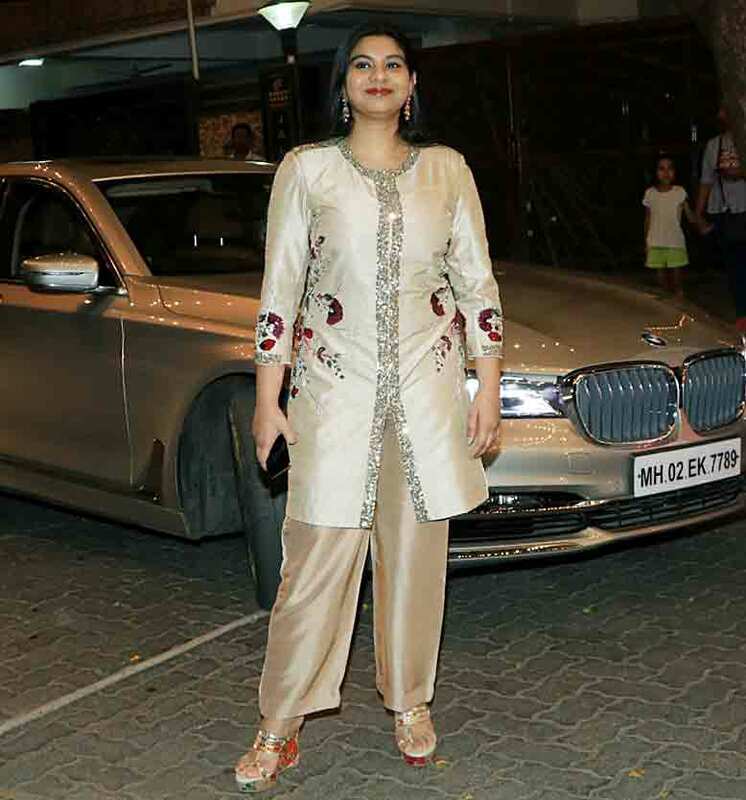 Noted Indian fashion designer Sandeep Khosla, who co-owns the label, Abu Jani-Sandeep Khosla, was spotted outside Anil Kapoor's Juhu bungalow. 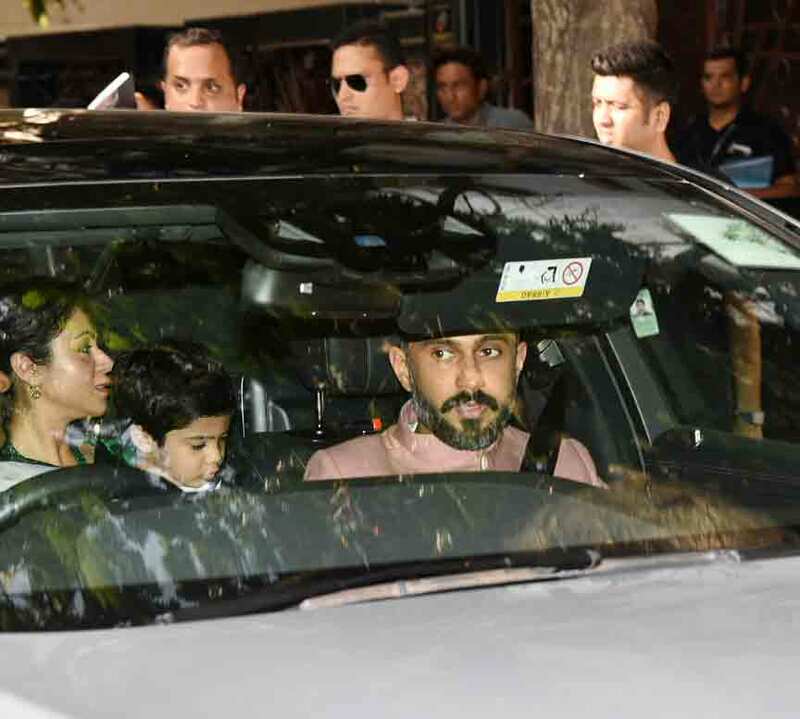 Actor Siddhanth Kapoor was clicked outside Anil Kapoor's residence. 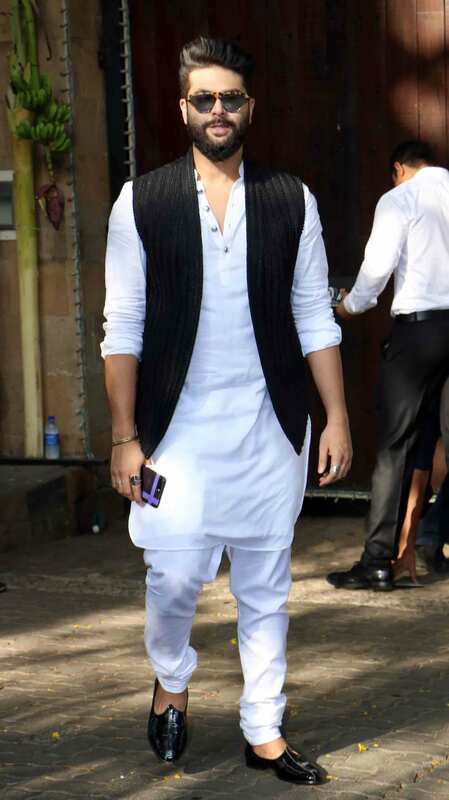 He is the son of veteran actor Shakti Kapoor. 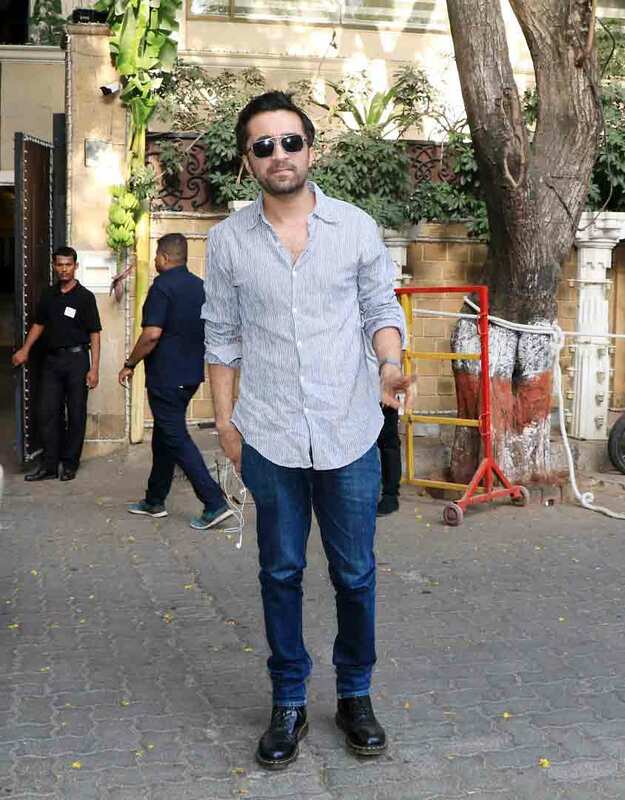 He has acted in several films including 'Haseena Parkar' and 'Jazbaa'.